It’s that time of year again. Christmas time. Time when millions of people around the world celebrate the birth of Jesus Christ, meet with family and friends, give and receive gifts. But was is it all about? We try to answer that question with these 15 maps, charts and infographics. 9. 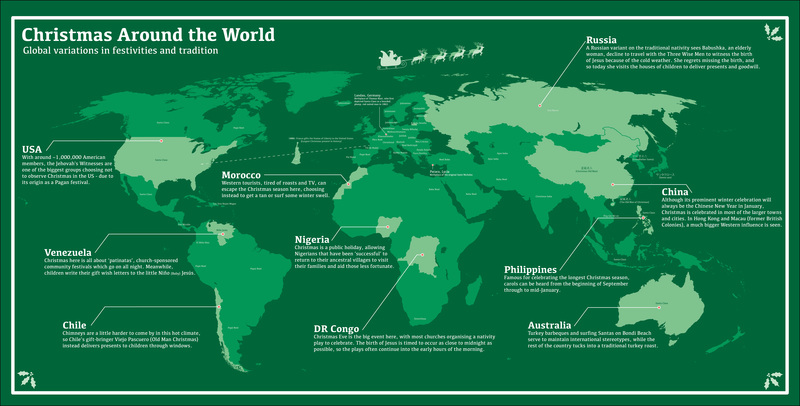 Where your Christmas trees come from?